Pizza, and it is salt free! 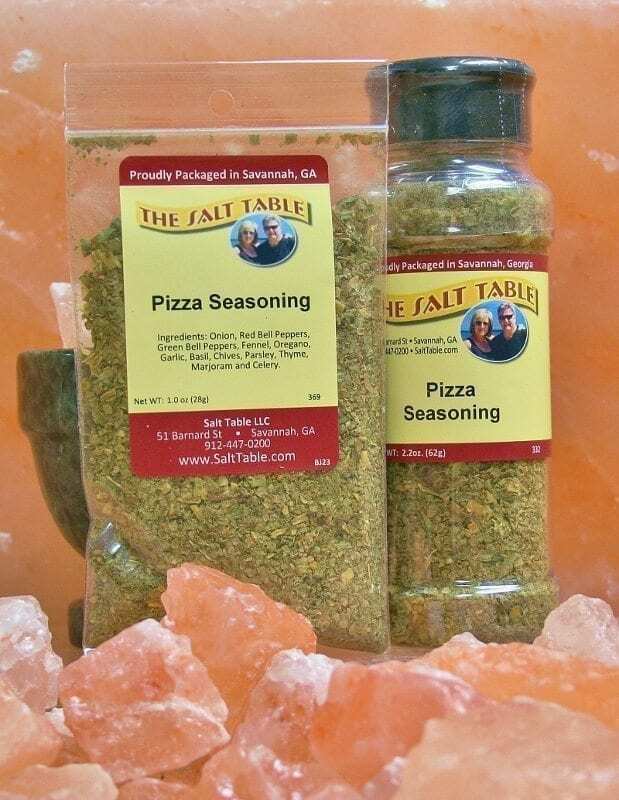 All of the traditional “pizza” flavors blended into one wonderful taste sensation! This seasoning is much more versatile than you may think. Did you buy plain rolls for dinner? Or do you have enough flavor in that healthy salad? Sprinkle this on hot rolls, or before you bake them, for a great Italian bread, without buying the specialty kind at the store. Or add it to your vinaigrette for a “pizza” inspired salad without the calories! This is truly a great blend and will go great with any Italian dish, or add some Italian flare to an old classic. Ingredients: Onion, red bell peppers, fennel, oregano, garlic, basil, chives, parsley, thyme, marjoram and celery.